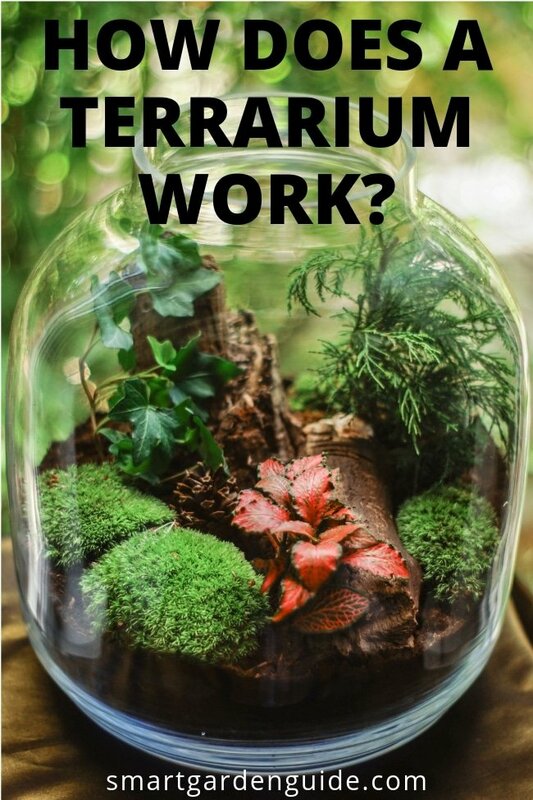 Blog How Does A Terrarium Work? You’ve heard about terrariums and know it’s all about growing plants in a transparent container, usually made of glass. But just how does a terrarium work? 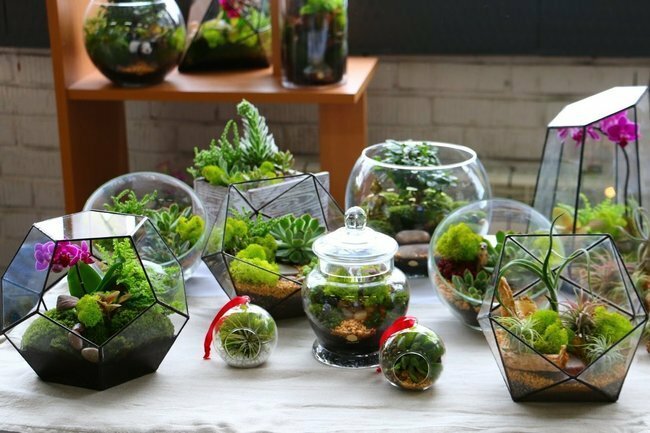 Terrariums have been around for over 150 years, but they’ve become really popular in recent years. They let you grow a little world of plants inside a glass vessel. And best of all, these little miniature worlds are easy to care for. These mini gardens are ideal in your home, in small apartments, or to brighten up your office. Let’s find out exactly how a terrarium works and what it takes to put one together. Terrariums fall into two different categories – open and closed. Each type works quite differently. Let’s have a closer look at how each type works and the differences between them. The workings of a closed terrarium are simple. A closed terrarium creates an isolated ecosystem within a seal-able, transparent container. Plants within a closed terrarium will have everything they need to thrive. Soil provides nutrients for the plants. These nutrients are constantly recycled as plants grow, taking up nutrients from the soil, and then die, returning them to the soil. Water within the terrarium sustains the plants by creating a miniature water cycle. Both the plants and soil in the terrarium release moisture and water vapor. This condenses against the walls of the terrarium and falls back into the soil to be used again. The cycle of moisture rising and falling is much like our own ecosystem – moisture rising during the day when temperatures are warmer and falling at night when the temperature cools. The cycle of water and nutrients is ideal for plants to grow and flourish, and with the constant supply of water, requires very little care from you. The only thing that needs added to a terrarium is light for photosynthesis to let the plants grow. Terrariums need indirect sunlight, which provides plenty of light, and also warmth for the plants. Direct sunlight is normally too intense, as the glass walls magnify the light and trap too much heat due to the greenhouse effect of a terrarium. A closed terrarium can take a bit of trial and error to achieve balance within the system. You may have to open the lid to adjust moisture levels within the system from time to time. There are also plenty of people who have had success with growing plants in a completely sealed closed terrarium for long periods of time. Plants that do best in enclosed terrariums are those that love moisture, such as ferns and moss. Choose compact plants that don’t need a lot of pruning, unless you want to be constantly opening the lid of the terrarium to prune them back to a decent size. An open terrarium is permanently open to the outside environment. so there’s lots of air circulation throughout the terrarium. There’s also less humidity because the water cycle isn’t the same as in a closed terrarium. They are often more decorative items, and are better suited to plants that prefer drier conditions and less humidity. It’s ideal for cacti and succulents, almost like a small, indoor desert. These open containers do well both indoors and outside on your patio. You’ll need to water open terrariums every couple of weeks and provide them with lots of direct light to keep them healthy. 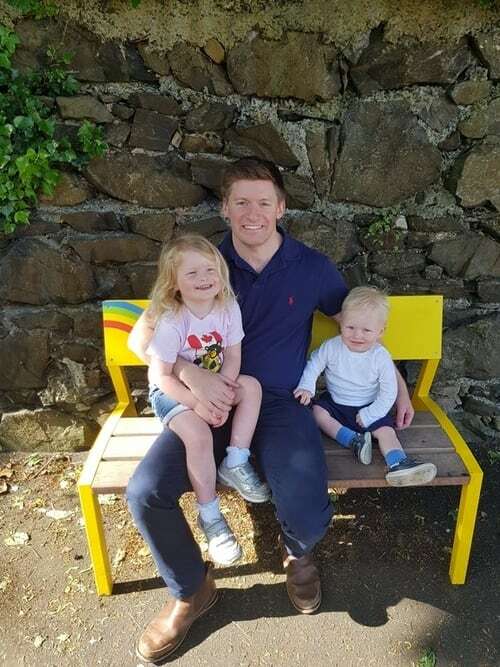 Both are great options and you can have a lot of fun making and looking after them. Once you’ve decided between an open or closed terrarium, it’s time to choose a container. Containers for open terrariums can be quite basic. A clear round dish or bowl will do very nicely. Popular today is using old vintage tea pots and cups for open terrariums, planting just one or two small cacti or succulents inside. Also popular and very attractive are hanging glass containers, ideal for hanging on any wall or in any corner of your home. For closed terrariums, you can stay with the typical taller glass container that comes with a fitted lid. You’ll be able to find these at gardening stores and nurseries. 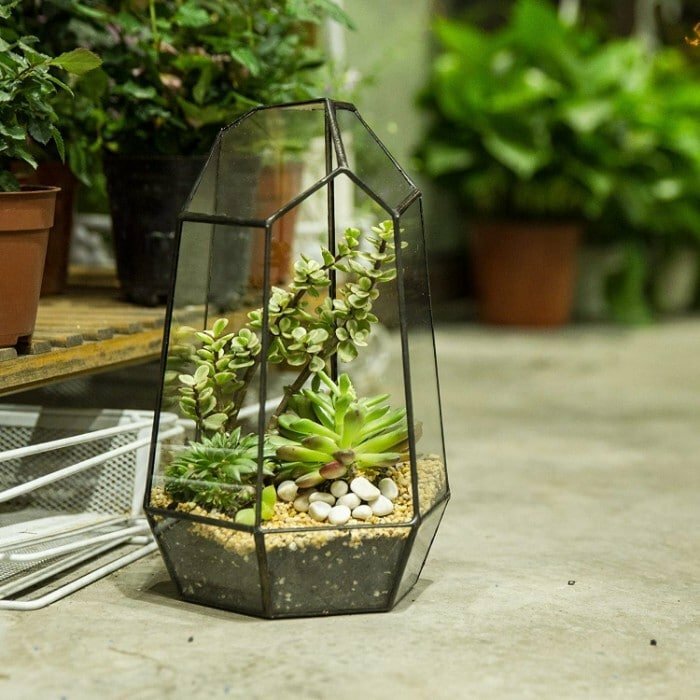 Most of these stores will have a selection of different shaped and sized terrariums, so have some fun with your selection. Or you could stray off the path and use your imagination by using lidded containers that aren’t traditionally used for terrariums, such as glass cookie jars. Terrariums need to have the proper drainage and soil system to maintain the health of the plants within the container. There are four different layers of drainage and soil, each with a different purpose. This first layer is important so that the soil in the terrarium doesn’t get too wet. As the water drains down through the soil it needs some place to go, and that’s right into the drainage layer. The ideal material for drainage is small pebbles, gravel, or sand. All materials are porous, so they won’t retain any moisture. Why is drainage necessary for a terrarium to thrive? Without proper drainage, the roots of the plants may rot, damaging or killing them. The bigger the terrarium container, the thicker this drainage layer needs to be. The activated charcoal is next. This is another important layer in your terrarium. It’s there to help keep the air clean by removing the odors and toxins, especially in closed terrariums. Just think, the lid is always on the terrarium, and odors build up inside from mold, mildew, decomposing soil, and from the plants themselves. The air needs to be purified so the plants have a healthy environment to grow in. If you should decide to skip this charcoal layer in your terrarium, you’ll need to open the lid for a few hours each day to let the air circulate. This means some of the moisture and humidity will also escape, so you’ll need to water the plants more frequently. Where to find activated charcoal? Check your local pet store. These small, black pellets are also used in fish aquariums to cleanse the water. Be sure to buy the pellets, and not the powder charcoal. You want water to be able to flow through the pellets and not get saturated in the charcoal powder. This third layer, using sphagnum moss, is entirely optional. Personally, I like this layer in my terrariums. It gives an added visual appeal to my indoor gardens and makes the terrarium look even more natural. Sphagnum moss are long strands of moss that you can layer evenly over the charcoal layer. What this moss does is provide even more of a way for moisture to be collected in the terrarium. It also keeps the soil from dropping down into the drainage system of the terrarium. You won’t need a lot of this moss, just enough to make a thick, soft layer so the soil doesn’t leak through. Lastly is the layer of soil, the life of the plants. You have a couple of options here. Many gardening stores have a premixed soil available for terrariums. This soil is rich in organic matter and has sand added to the mix. Your other option is to buy good quality organic soil and mix it yourself with coarse sand. It’s best to buy sand rather than helping yourself to some beach sand, which most likely contains bacteria and molds that can be harmful to indoor plants. Once you’ve got your terrarium all outfitted with soil and a good drainage system, the real fun begins. You get to choose the plants for your terrarium. As I mentioned earlier, the type of plants you choose will depend on whether you have an open or closed terrarium. For both open and closed containers make sure the plants are compatible with each other and that you have the right soil for them to grow in. Use plants that require the same amount of light and water, so they all thrive. Cacti – You might not think a cactus would be a good plant in a terrarium but think again. Their unique shape makes them pop out and they look great alongside other plants. Succulents – You’ll find succulents to be very low maintenance, thriving in desert-like conditions. Ferns – You’ve got a wide variety of ferns to choose from. They’re highly appealing with their delicate leaves. Ferns like bright, filtered lights and moist conditions – so they’re perfect for enclosed terrariums. Miniature Ivies – Ivy plants are great for both open and enclosed terrariums. Their small leaves and twining limbs let them wind around other plants, making the foliage in the container look thick and full. 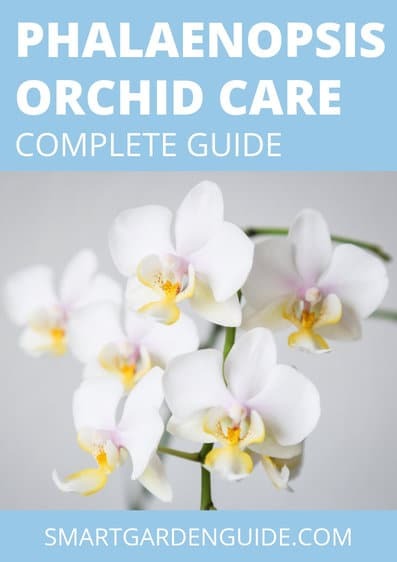 Miniature orchids (Pleurothallis) – There are over 1,000 different species of this plant. Look for ones with bright colors to liven up your terrarium. Begonias – This is another plant that likes a humid environment and that will add a burst of color to the container. I like the leaves on this plant – dark green above with a burgundy on the bottom side. Every terrarium is interesting and unique. And it’s not just the plants that give it an individual look – it’s the little decorative touches that you can add. The possibilities are endless. For a natural look, choose items such as small stones you’ve collected over the years, small sticks and pieces of bark, and colored sand. Dried moss or lichen is another nice touch. A growing trend these days is to make a terrarium with a theme by adding small toys and figurines, pine cones, and little wooden miniature pieces such as mushrooms and fairies. Place the terrarium in a location where it gets some sunlight or ambient light. Keep enclosed terrariums out of direct sunlight. The container can quickly heat up and get too hot inside, easily damaging or killing plants. If you have tropical plants in an open terrarium, they prefer to be watered thoroughly and then left to dry completely before the next watering. Be sure to reach the root system of each plant by watering directly into the soil. Avoid watering your terrarium too often as there’s no drainage hole for extra water to escape into. And remember, your little eco-system is doing most of the watering for you! Prune back the plants when they start to grow too big for the container. You don’t want one plant to take over and dominate the rest. To avoid bacteria and mold in the terrarium, remove any dead or moldy leaves. The same goes for any decorative items that have become moldy. Your enclosed terrarium needs to breathe now and then. Every couple of weeks remove the lid and leave off for a day. You want the plants to grow evenly, so each week rotate your terrarium to allow each side to get an equal amount of light. You probably won’t even need to think about fertilizer…terrarium plants are living in ideal conditions. If they do start to look a little under nourished, you could give them a weak fertilizer every now and then to perk them up. Why You Need A Terrarium! Now that you know how easy it is to care for a terrarium, you’ll no doubt want one in your life! They can add a sense of calm and peacefulness to any room. Terrariums come in all shapes and sizes, so they fit almost anywhere. On your desk, on narrow windowsills, or on your kitchen counter. 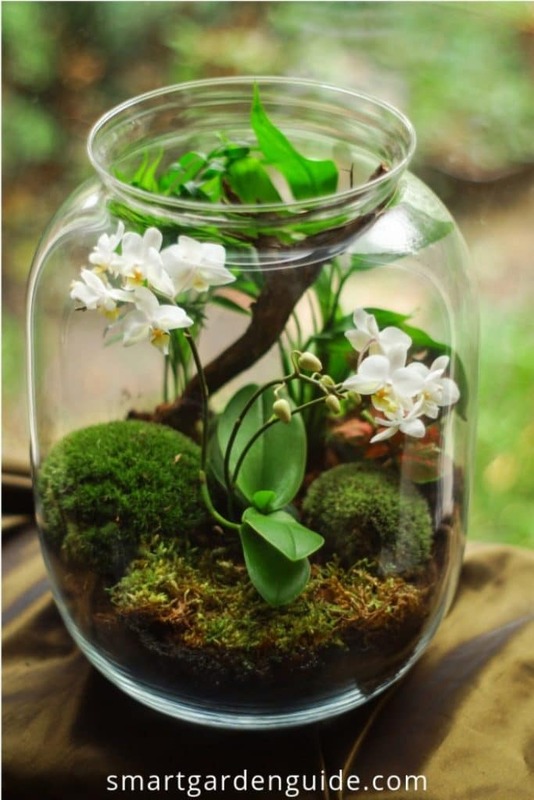 A terrarium is the perfect way to add beautiful plants to your day! If you want to get started with a great looking and very affordable option, try these awesome terrariums from NCYP, available on Amazon. I’ve done several DIY projects using these terrariums and find it so relaxing and satisfying planning, planting and watching them grow. If you’re looking for more inspiration for your next indoor gardening project, check out my growing collection of indoor gardening articles. Please also take the time to head over to my resources page, where I have all the info, resources and tools you need to become a better gardener and grow plants you can be proud of.